Will you keep 100 snakes as pets? When some people hear the mention of the name snake, they cling or run for safety. This is not the case for one family in Texas which keeps 100 snakes and lizards as pets. The family kept five-to-six-feet long pythons and boa constrictors and two dogs. 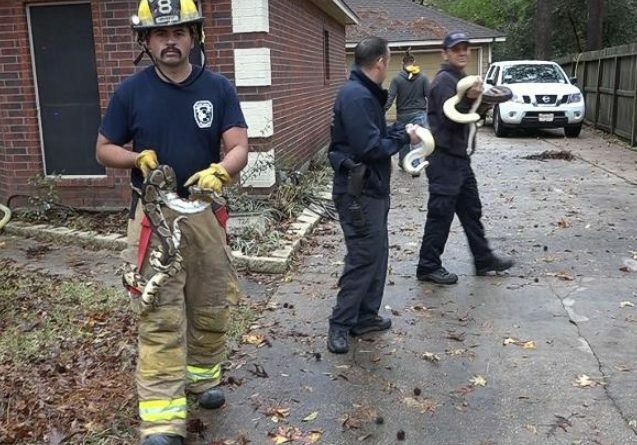 This December firefighters in Texas responded to a fire and rescued a number of snakes out of the 100 kept as pets. In addition to the snakes, the family also kept lizards. Why in the name of the Lord should one keep lizards instead of keeping serious pets such as rabbits, dogs and cats. Maybe my naivety is blinding my judgement. Help me see the sense. The fire at the Texas home is reported to have been caused by a Christmas Tree whose lights had been left on. “Not sure how many lizards were found, but the snakes were large enough to give anyone crawling through the smoke-filled house a heart attack,” said the Fire Chief Raymond Flannelly. The fire department learnt that not even one of the 100 snakes was venomous. Therefore, it was safe handling them. The family is reported to have lost plenty of property to the fire but they were happy that their snakes were saved from the fire. 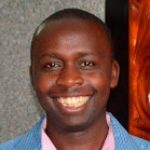 For this Christmas, we are all advised to switch off the lights on the Christmas trees (when not near the house) to avoid the possibility of starting a fire. Remember Christmas trees can be a source of disaster.